In recent years, there has been a surge in investment property sales. With real estate prices dropping in the wake of the financial crisis, and with foreclosures forcing homeowners out of their homes and into rentals, becoming a landlord has never been so attractive. It seems like the perfect path to passive income. Buy a low-priced property, get some tenants and enjoy the money that rolls in. Unfortunately, it doesn’t always work out that way. If you aren’t careful, your tenants can cause you more trouble than they are worth. 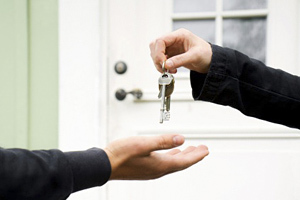 Before you become a landlord, think about how you will vet your tenants. With good tenants, you are paid like clockwork, and you don’t have to worry about damage to your property. Bad tenants, though, cause never-ending problems ranging from late rent payments to ruining the house so that it’s harder to rent to someone else. Want the first choice? Here’s what to do. Want a tenant who pays his or her rent on time? Require a credit check before you approve an application. You can get permission from potential renters to look at their credit. Someone with a good credit history has shown that he or she is capable of handling finances in a responsible manner. The better the credit history, the more likely your tenant is to make rent payments on time every month. You will have to pay for a credit check, but if you are allowed to charge an application fee in your locality, you can have the prospective tenant foot the bill. There are companies that will run a background check on potential tenants. This can be well worth the cost (again, consider adjusting your application fee to cover expenses). With a background check, you can see what legal trouble and other problems potential renter has been involved in. There are also companies that specialize in social media background checks. Learn more about the potential tenant by the kinds of things he or she posts online. Also, Google the prospective tenant. Follow up with the references provided on the rental application. Require that at least one of the references is a former landlord. Ask the landlord how the tenant behaved and how he or she left the property upon moving out. Check into character and work references work. For example, make sure that the applicant has a reasonably secure job. You’ll want an application fee that is just high enough to give someone pause, but not so high that you eliminate all possibilities. You can cover some of the costs associated with the tenant search, as well as ensure that only high quality applicants show interest. Offer to apply the fee toward the security deposit. You can also interview your potential applicants. However, avoid in-person interviews, which can open the door for Fair Housing suits. The Investing Answer: The process of vetting a tenant for your rental property can be time-consuming and cost money. However, it makes sense in the long run if you are interested in securing good tenants. Time and effort up front can mean a smooth rental relationship later.